Children from newborn to 21 years of age can face a variety of health issues that require specialized care and attention. RNS’ home and school paediatric services helps parents and children enjoy better health and wellbeing – from baby’s first few days at home to helping children with mental and physical challenges to prosper in home and school environments. RNS will work with families, members in the circle of care and community partners to develop a client-centred Care Plan designed specifically for needs of the child and his or her family. Paediatric clients get the attention of dedicated, fully trained and qualified Registered Nurses and Registered Practical Nurses to help them meet their challenges. Raising children is never easy, but unique needs add new challenges and sometimes parents need help and support. RNS’ qualified Personal Support Workers provide the assistance that allows parents to continue to give the love and care their children need. Every paediatric Nurse and PSW has the support of a Healthcare Supervisor or Nurse Manager, who manages each Care Plan, maintains open communication and partnership with members of the circle of care. 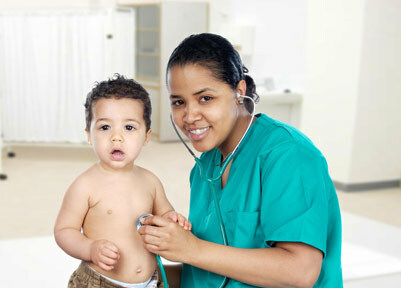 RNS Health Care Services’ educational and training resources ensure that staff follow best practice guidelines for paediatric care.